Barbie’s off to Paris for a magical fashion adventure! Go along for the ride – and help to decorate the outfits she’ll wear! 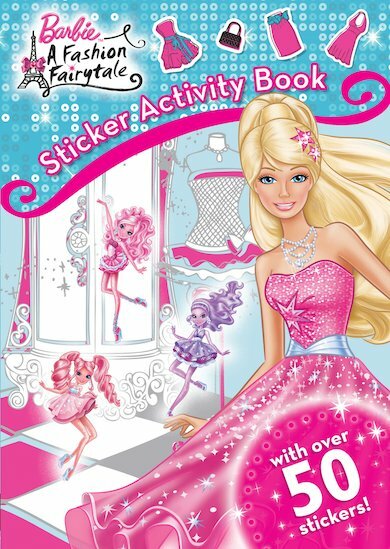 Get set for a glitzy and glamorous time in this swish Barbie sticker-activity book, which is packed with stylish stickers, perfect puzzles and amazing couture to colour in. Use your pens and crayons to create awesome outfits for Barbie and her friends – and then retell the story of Barbie’s Parisian adventure using four pages of stickers. It’s a must for any Barbie fan with a passion for fashion! i ddddddoooooooooooooooooooooooooooonnnnnnnnnnnnnnntttttttttttttttttt like it . who would like it.